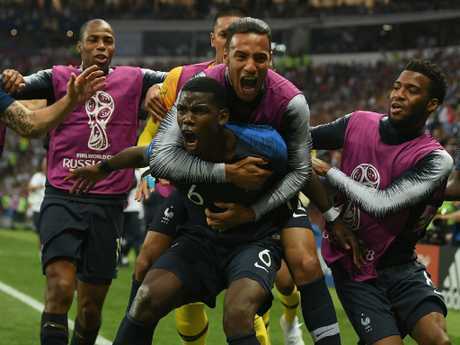 The 25-year-old - who scored a superb goal in France's 4-2 victory over Croatia in the World Cup final - was credited with a "monster performance" by Mourinho in United's opening 2-1 Premier League win over Leicester City. However, Pogba - who cost United a then-world record $156 million in 2016 to prise him away from Juventus - is known to be upset by Mourinho's remarks about his performances at the World Cup compared to those for his club last season. 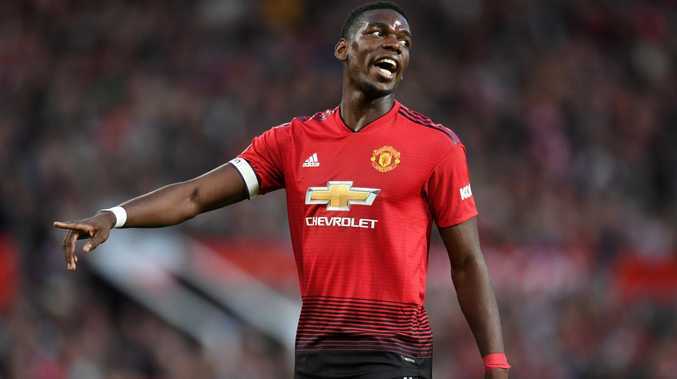 Mourinho had implied Pogba, whose agent Mini Raiola has reportedly been talking with Barcelona, had flourished under Didier Deschamps at the World Cup because he could not be distracted by his entourage or by his commercial obligations. Pogba, who was given the captaincy by Mourinho, summed up what it meant for him to be happy and comfortable. "If you're not happy, you cannot give your best," said Pogba. "You have to know one thing: a player that gets chosen and is happy, you always feel more comfortable than when he's not happy. That's all I say." Pogba, who was dropped by Mourinho for both legs of the Champions League last 16 loss to Sevilla last term, said there were differences between playing for France and United. "I am the same, but it's a different team, obviously," said Pogba. "I still enjoying playing football but like I said, when you are comfortable or confident and are good in the head, it's going to be easier." 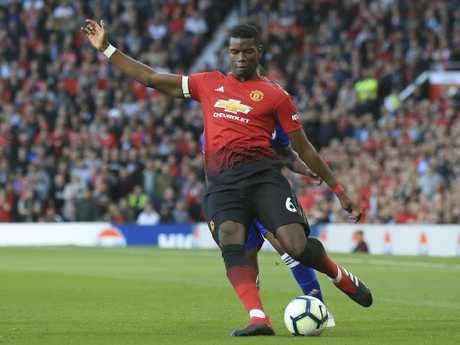 Pogba said "everybody was on the same page" in the France dressing room, from Deschamps to the staff and players - that has not necessarily been the case at United with several players at different times singled out for public criticism by Mourinho. However, Pogba - who could still leave despite last week's English transfer deadline day as most European leagues keep their transfer windows open until the end of August - professed his deep love for the club.